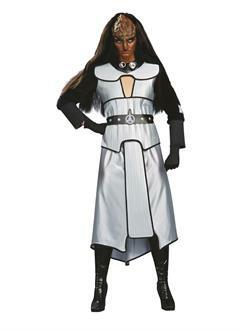 You are going to love this Deluxe Klingon costume from Star Trek. Show your friends that you cosplay by yourself and now you can do it in public on Halloween. Everyone who is anyone loves the Star Trek saga. Here we can make it simple to transform into the antagonists in the movies and be the coolest person at the bash.